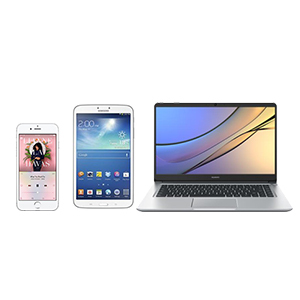 ♪ Bluetooth 4.1 & Loud Volume: Features with Bluetooth 4.1, stereo music technology and design with loud volume, M1 has good performance in stable connection and loud volume sound. You can enjoy stereo music, make a clearly call or answer calls safely even when riding. 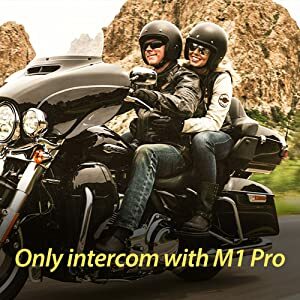 ♪ Intercom with M1 Pro: M1 is without intercom system itself, but it can intercom with M1 pro under pairing mode, intercom distance is up to 10m (33ft). Enjoy having a clearly conversation with your passenger during the riding trip. ♪ Voice Dialing/Answering: Features voice dialing and answering functions to ensure riding safely. Voice dialing/answering function only works with Apple or Android systems Smartphones with voice command function itself. 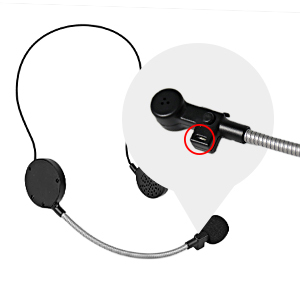 ♪ Easy To Pair And Install: Long press the headset button, then search “M1” on your Bluetooth device(such as smartphone), M1 will be paired successfully and stay in stable connection; Stick the loop inside the helmet near ear, then stick a hook to back of the earpiece, then stick them together and finish install. ♪ Great Customer Service: M1’s microphone rod is made by iron. We guarantees 30 days no reason replacement or refund. If you have any issues when using M1 Bluetooth helmet headphone, please do not hesitate to contact us via E-mail. Your satisfaction is our goal. M1 helmet headset is compatible with most Bluetooth enabled smartphones. 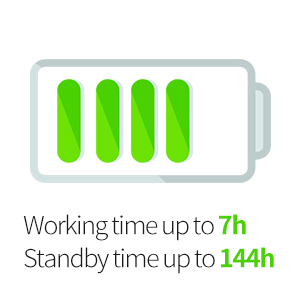 Such as smartphone, tablets, and computers. Note: Please make sure there is more than 0.3 inches room between your helmet and your ear. 1. Stick the provided loop on the back of the helmet headphone. 2. Stick the provided hook inside of the helmet near the ear position. 3. Stick the helmet headphones to the loop. 4. Put the wire of the M1 headset under the padding of the helmet, then adjust the microphone near to your mouth and finish. M1 is not volume adjustable, you can adjust its volume through your smartphone (Bluetooth devices). Its volume can only adjust by pressing buttons when intercom with M1 pro. M1 helmet headset is without intercom function itself. But one piece M1-Pro can intercom with one piece M1. Intercom distance is up to 10m (33ft). 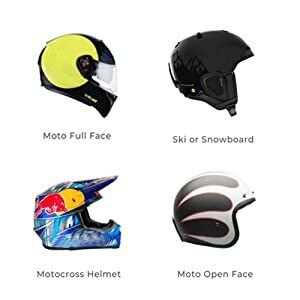 Suitable to use with your passenger during the riding trip. 1. M1 is not volume adjustable, you can adjust its volume through your smartphone (Bluetooth devices). Its volume can only adjust by pressing buttons when intercom with M1 pro. 2. 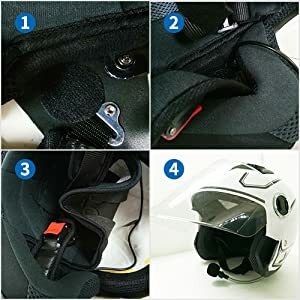 Please check the size of your helmet before purchase. M1 is suggested to use in those helmets which have more than 0.3 inches room between your helmet and your ear.